I have the second of my two new polishes from Starrily for you today! This little number is GORGEOUS. & Essie's 'In the Cab-ana' as accent. 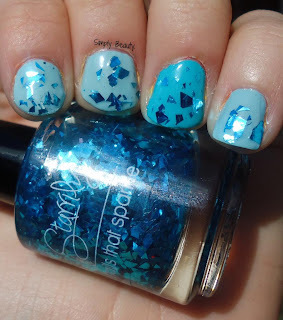 'Sea Glass' is a clear base with shredded metallic blue foil/glitter/confetti? and the color of the shreds just really appeals to me. 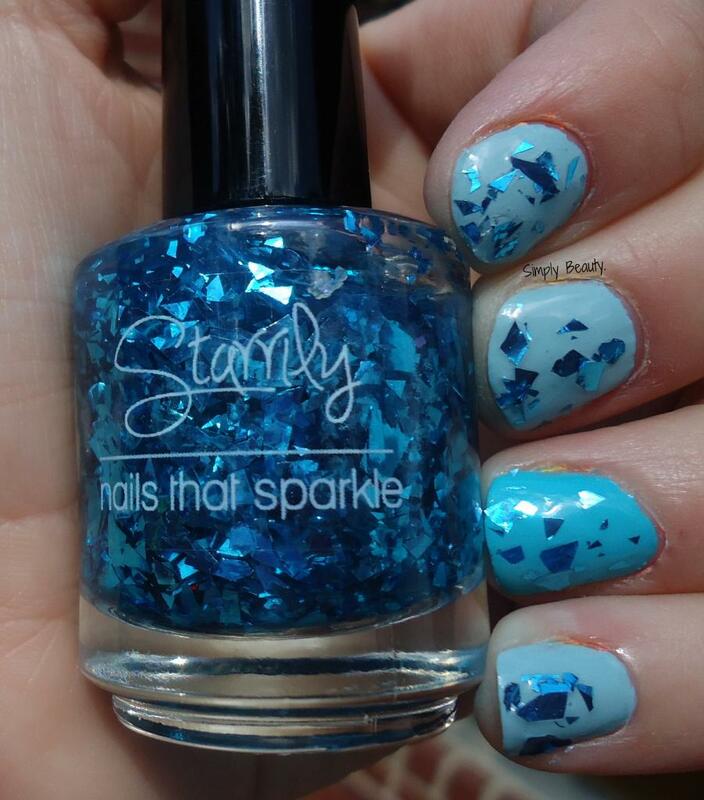 It's lovely for summer and makes me want to go to the beach. What do you guys think of 'Sea Glass'? This is really pretty! I love the shreds, they are neat! This is so pretty! 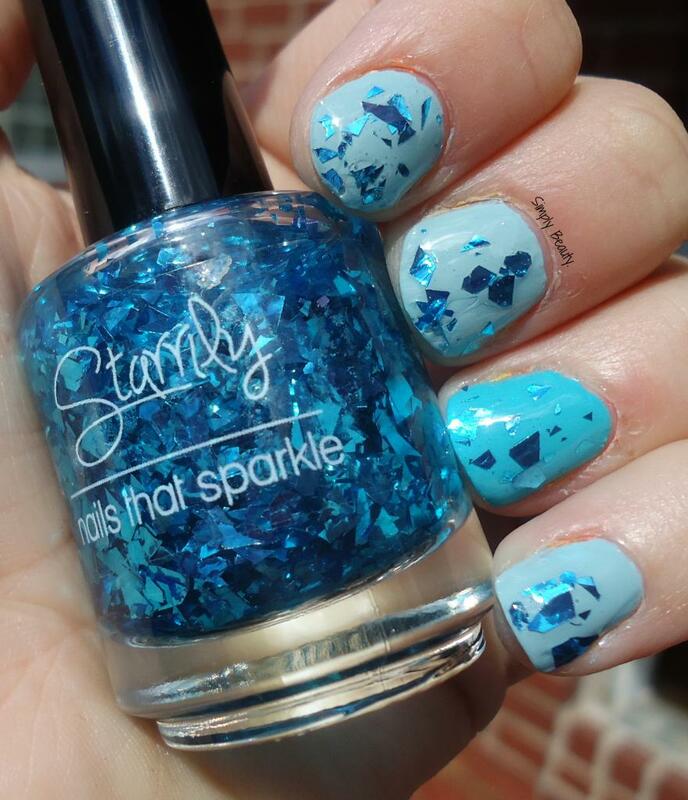 I just love Indie polishes! really pretty, and i love the name!